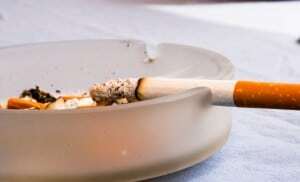 A new California State Law makes it easier for landlords to convert their rental property into a smoke-free environment. With over 30 percent of California residences being multi-family housing, Capital Insurance Groups, (CIG) expertise in smoke-free coverage may make the decision to go smoke-free for California landlords even more appealing. Effective January 1, 2012, landlords are permitted to enforce strict restrictions against smoking on a residential rental property. These restrictions will extend from within the dwelling unit as well as anywhere on the premises. CIG has been offering a smoke-free premium credit to multi-housing property owners in California, Arizona, Nevada, Oregon and Washington, for two years. The decision to offer a smoke-free rental unit is now much easier for California landlords. CIG is pleased to offer a credit that reflects the safe practices of the property owners and managers who take such preventative measures against fire risk said Ken Stewart, CIG Products, Commercial Compliance & Commercial Lines Manager. CIGs smoke-free premium credit is only one of many benefits to a smoke-free environment. A smoke-free apartment credit can translate into significant annual savings for an apartment owner. Since 2007, the trend toward smoke-free multi-unit housing has grown nationally and globally. For property owners, the economic benefits are numerous, including lower rehab costs for smoke-free units, faster turnover time due to less preparation and repainting, as well as less wear and tear on each rental unit. The owners also benefit by having fewer insurance claims”saving them both time and money. As the leader in apartment property insurance, we look forward to our CIG agents in California working with landlords to assist in their efforts to convert complexes to a smoke-free environment. As a result, we are providing a 10 percent premium credit to those property owners who offer smoke-free housing, said John McLaughlin, CIGs Field Operations Manager.